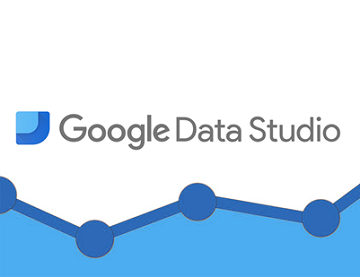 In a slew of recent posts on their Analytics blog, Google has announced the removal of the 5 report limit in Data Studio in the US, integration with Search Console, and most recently, enhanced support for AdWords MCC accounts. 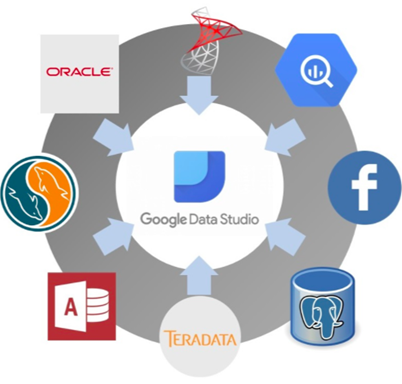 So what is Data Studio, why has Google focused so much attention on improving it, and what benefits does it provide for marketers? 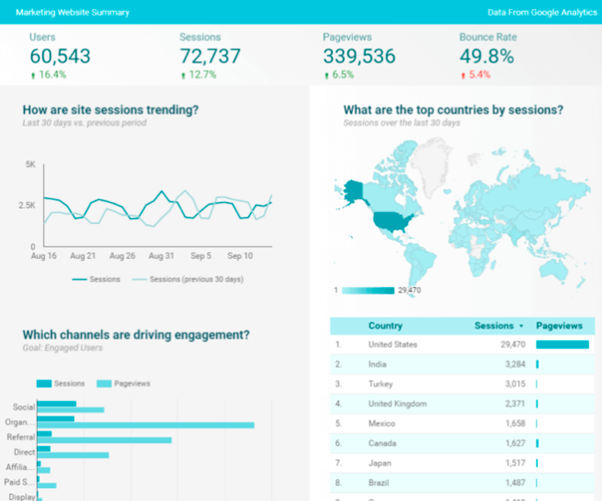 Data Studio was launched in beta as part of Google’s Analytics 360 suite in May 2016. The aim of the platform was (and remains) clear: to provide Analytics users with an intuitive, shareable dashboard solution that allows them to make sense of their data. Its functionality reflects this purpose. Users can drag and drop a range of graphs and charts onto a blank canvas, then populate them using the dimensions, metrics and goals from their GA account. As such, anyone familiar with Google Analytics should be able to create polished, professional dashboards to help inform their business decisions. Data Studio delivers on that promise, but the restrictive 5 dashboard limit and a lack of platform integrations curbed its widespread uptake last year beyond the expensive 360 Suite. However, these recent announcements go some way to creating a solution with universal appeal. Marketers who have adopted the full suite of Google products will find a wide variety of new opportunities for data analysis and reporting here. 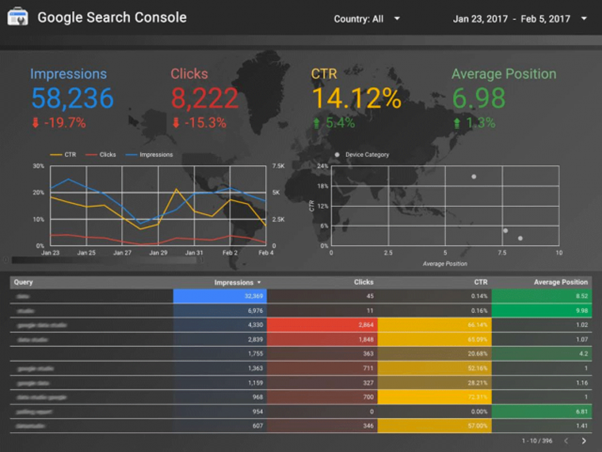 The addition of Search Console support brings SEO into the fold too, adding the capability to show keyword-level performance through impression, clicks and CTR data. 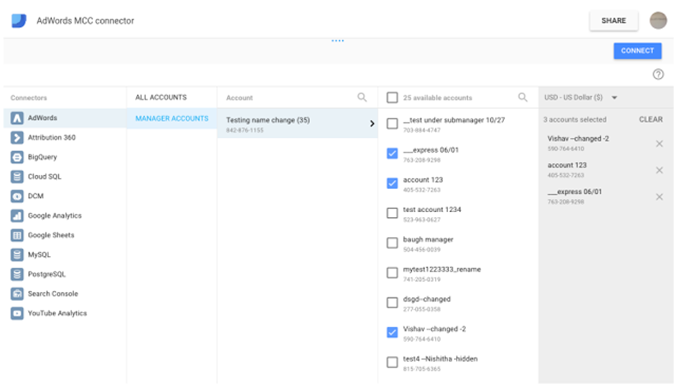 Currency fields are removed if they differ across sub-accounts, removing some of the difficulties seen when Google aggregates multiple currencies into one report. But what about non-Google products? Do they integrate with Data Studio? Yes, albeit in a slightly roundabout fashion. Eagle-eyed readers may have noticed Google Sheets among the list of available connectors. So if data from Facebook, for example, is scheduled to export automatically to Sheets, this information will then be included within your Data Studio dashboard quite seamlessly. Although not as direct an integration as other enterprise-level reporting suites can provide, this is still a hugely beneficial capability. Moreover, the customizable, intuitive nature of Data Studio should make up for this inefficiency among a large user base. Does this mean the democratization of data analysis? At a basic level, it might do – and this is a platform designed to engage novices, after all. But if the improvements keep coming at the recent pace, we could be looking at a very powerful contender for more advanced data analysts too. These highly customizable reports also allow users to circumvent many of the inefficiencies that arise from searching in GA to collect data, synthesize it and then produce compelling visualizations. This is clearly good news for marketers and business owners alike, removing some of the barriers to entry for useful, everyday data analysis. 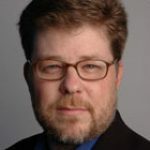 Clark Boyd is VP Strategy at Croud, a global digital performance agency. When it comes to maintaining a brand, any good marketer will tell you that reputation management is key. But it’s not just about monitoring what others say about your business; it’s also making sure you know how to prevent reputation crisis by building a stronger brand.